There have been many classic movies released to Blu-Ray, but Yellow Submarine has really impressed Kevin Lauderdale. From the technical aspects to the print transfer to the extras included in the set, Kevin is very impressed with this release and feels it is a great addition to any Beatles fan's collection. You can pick up a copy of this movie by visiting our Amazon store through our link. In purchasing it there, you not only get a great movie, but you support the Chronic Rift network. Thank you. John has a chat with musician Steve Horowitz where they discuss music from Super Size Me to Spongebob Squarepants to The Taking of Pelham One Two Three. Make sure you leave your thoughts on the episode in our forum or by calling our toll free number 888-866-9010. In addition, make sure you rate the episode at the end of the listing. Steve Horowitz is a creator of odd but highly accessible sounds and a diverse and prolific musician. Steve's 30-year career integrates his experiences as a band leader with his explorations as a multi faceted composer. Horowitz has a large catalog of music for traditional and unusual ensembles such as: string quartet, woodwind quartet, orchestra, Disklavier, solo contrabass flute, large electro-acoustic chamber ensemble and his band the Code International. Horowitz studied at the California Institute of the Arts with Mel Powell, Morton Subotnick , Micheal Jon Fink and Stephen "Lucky" Mosko. He lectures at various schools including New York University, California Institute of the Arts, and Berklee College of Music in Boston and has received performance underwriting as well as commissions from: Meet the Composer Fund (1992 at the Lab SF, & 2005 at the Kitchen NYC); Amsterdam Fund for the Arts NL (2000 for ensemble tour); Fund for the Interactive Sound Arts Netherlands (1997, Graphic scores Mousetrap Quartet); Gravy Train Dance Company (1984 Choreographer Jo Ann Nerenberg); The Alternate Currents Ensemble (1994 Ribbon of Extremes); Music at the Anthology (MATA, executive producer Phillip Glass 2003 "Vertical Field Horizontal Field" for String Orchestra and Piano performed by SONYC, featuring soloist Joel Wizansky on piano); and The Astoria Symphony (Mix Re-Mix, World Premire). Touring projects in the US and the Netherlands have helped to form Horowitz's unique perspective and voice. Horowitz and his music have appeared at the Great American Music Hall in San Francisco, The Bimhuis in Amsterdam, and The Miller Theater and The Kitchen in NYC. He frequently collaborates with other artists - joining forces with an eclectic variety of musicians such as electric guitar wizards Elliott Sharp and Henry Kaiser, saxophone greats Lenny Pickett and Ralph Carney, The Clubfoot Orchestra, Glen Spearman, acoustic bassist Tatsu Aoki, and the Balkan music ensemble Zhaba. A culmination of years of investigation, The Code Ensemble explores Horowitz's persistent musical themes: the intertwining of electric and acoustic instruments, new forms, extended techniques, interactivity, music for picture, theater and live performance. Drawing on a finely honed sense of humor, Horowitz looks deeply into the sociological filter and re-examines pop culture's presentation of "truth" as entertainment. Founded in 1992, The Code has developed a cutting-edge repertory with instrumentation that combines traditional acoustic and contemporary electronic instruments. Sit-coms have been a mainstay of television since its inception. The sit-com has evolved over that time and while there are many creative and thoughtful shows today, there is something to be said for the classic sit-com. Kevin takes a look at these shows, relagated to late nights on Nick by recreating one of his favorite comedy bits, a scene from Welcome Back, Kotter. Please take a moment to comment on this episode by visiting the website - http://www.chronicrift.com, writingjohn@chronicrift.com, or calling 888-866-9010. You can find season sets of Welcome Back, Kotter by visiting our Amazon store. In purchasing them there, you not only get a great collection of comedies, but you support the Chronic Rift network. Thank you. Kevin Lauderdale brings a new fantasy author to our attention in Patrick Rothfuss. 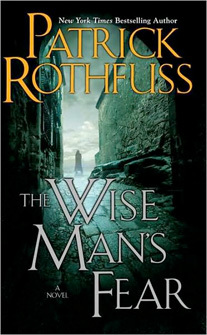 The second book in Rothfuss's King's Killer series, The Wise Man's Fear was recently released and Kevin is very impressed with the magic system used in this fantasy setting. 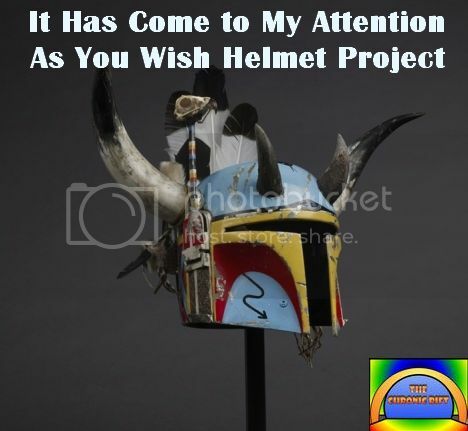 Comment on this episode by visiting the forums, writing john@chronicrift.com, or calling 888-866-9010. You can purchase both volumes in the series through our Amazon store. In doing so, you not only support Patrick, but you also support the Rift. Thank you. Kevin Lauderdale brings to your attention, something he almost missed, Detective Dee and the Mystery of the Phantom Flame. In this 2011 Chinese film, an exiled detective is recruited to solve a series of mysterious deaths that threaten to delay the inauguration of Empress Wu. Please take a moment to comment on this episode by visiting the website - http://www.chronicrift.com, writing john@chronicrift.com, or calling 888-866-9010. As we near the 30th anniversary of the release of Ghostbusters, John puts together a Roundtable discussion on the phenomenon. They discuss the movies, the animated series, the comics, and the proposed third movie. Joining John is unabashed Ghostbusters fan Jay Smith and The Real Ghostbusters writer, Marc Scott Zicree. Please comment on this episode by visiting our website - http://www.chronicrift.com, writing john@chronicrift.com, or calling 888-866-9010. Marc Scott Zicree’s landmark book THE TWILIGHT ZONE COMPANION has been credited with creating the modern genre of books on TV series and inspiring a generation of series creators and filmmakers. The COMPANION was an instant bestseller (over a half million copies to date) and named in 2006 by the New York Times one of “ten science fiction books for the ages,” the only non-fiction book on the list. Zicree is an alumnus of the Clarion Writers Workshop, the most esteemed science fiction writing workshop in the country. Graduating UCLA, he went on to a successful career as a writer-producer in film and TV, serving on staff on such shows as SLIDERS, THE LAZARUS MAN, FRIDAY THE 13th – THE SERIES and BEYOND REALITY. He has sold over 100 teleplays, screenplays and pilots to every major studio and network, including landmark stories for such shows as STAR TREK– THE NEXT GENERATION, DEEP SPACE NINE, THE NEW TWILIGHT ZONE, BABYLON 5, BEAUTY AND THE BEAST, FOREVER KNIGHT, SLIDERS, LIBERTY’S KIDS, SUPERFRIENDS, HE-MAN, REAL GHOSTBUSTERS and SMURFS. He’s written about his odd family in features and pilots for CBS, NBC and Showtime. Zicree is regarded as one of the country’s top media experts and has been interviewed by hundreds of newspapers, magazines, and TV and radio shows, including THE TODAY SHOW, AMERICAN MASTERS, ALL THINGS CONSIDERED, ENTERTAINMENT TONIGHT, E! TRUE HOLLYWOOD STORY, WASHINGTON POST, NEW YORK TIMES and L.A. TIMES. Beyond his three-year stint as a commentator on NPR’s MORNING EDITION he is a regular guest on COAST TO COAST, one of the country’s top rated night-time radio shows. In addition, Zicree is a lauded novelist with the bestselling MAGIC TIME trilogy, published by HarperCollins and Blackstone Audio. Zicree has lectured at many colleges, professional conferences and museums in America, Europe and Asia, including USC, UCLA, Stanford and Ithaca, where he was a keynote speaker. One of Zicree’s recent credits is STAR TREK “World Enough and Time” starring George Takei, which he co-wrote, directed and executive produced. The episode won the TV GUIDE Award – beating NBC Universal’s BATTLESTAR GALACTICA – and was nominated for science fiction’s top two prizes, the 2008 Hugo and Nebula Awards. Zicree has also been nominated for the American Book Award, Humanitas Prize and Diane Thomas Award, and has won the prestigious Hamptons Prize and 2011 Rondo and Saturn Awards. Most recently Zicree has completed LOVE, GLORIA, a memoir about his mother, collaborated with director Guillermo del Toro on GUILLERMO DEL TORO’S CABINET OF CURIOSITIES for Palace Press, worked on LOST MARS, a TV miniseries project with science fiction legend Ray Bradbury, teamed with producer Gabe Sachs (FREAKS AND GEEKS, JUST SHOOT ME, DIARY OF A WIMPY KID) on the TV series version of MAGIC TIME, and written and will be directing the upcoming science fiction feature FUGITIVE SPACE, produced by Chris Wyatt (NAPOLEON DYNAMITE). He is currently working on THE SECRET SCIENCE FICTION TV PROJECT with Oscar and Emmy winner Doug Drexler and producer Neil Johnson. Jay Smith is a six foot tall ape-descendant and a man Harlan Ellison once called "a great scam-man liar or a born writer." Because of this, you must decide for yourself what, if any, of the following information is true. Jay is the author of the stoner/gamer novel RISE OF THE MONKEY LORD called "Masterful", "Amazing", "A Natural Twenty", "The Stuff of Every Geek's Dreams" and "Incredible Fun" by several readers who were in no way coerced or related to the author. He is also responsible for the series of "aggressive vignettes" called BLUE COLLAR GODS. Jay also possesses his own weight in rejection slips. In his spare time, Jay collects action figures, reads to his children (sometimes against their will) and writes audio drama scripts, including the un-produced space-western "Blackjack Masterson: Space Marshal" and the zombie apocalypse radio soap opera "HG World". His experimental soundscape program “The Delano Rose” remains popular with the hard-to-please and highly-specified “joker and toker” demographic, according to some guy who smelled like he might be on The Pot. Jay's dream is to write the novelization of the upcoming Ghostbusters 3 motion picture. Or cure cancer. Yeah, curing cancer would be awesome. Jay’s website of projects, daydreams and products for sale is: www.3015north.com. Jay’s web-log is the memorable and convenient livejournal account “dr_p_venkman”. It's one of those overlooked gems, like The Phantom or The Shadow. Bill Campbell starred in this 1992 feature film about a man who discovered the means to propel himself with the use of a rocket pack. The Rocketeernever really gets the love it deserves, but it's a cult classic and it's come to Kevin's attention that the movie is out on Blu-Ray, Kevin looks back at the movie and discusses what one can expect in a Blu-Ray edition. Please take a moment to comment on this episode by commenting here, writing john@chronicrift.com or calling 888-866-9010. You can purchase a copy of The Rocketeer through our Amazon store. In doing so, you'll experience strange, new worlds while supporting the Rift Network. Thank you.